Curry leaf tree is a deciduous tree which is native to India. It is used to flavor most of the Indian cuisines. This leaf has got a very good aroma and is slightly bitter and so is also called as sweet neem leaves. Curry leaves grow mainly in mainland. In Kerala, we find this plant being grown in the home gardens also. Curry leaves are good for stomach and they helps to strengthen the functions of the stomach. The leaves when distilled produce oil which is used in soaps and perfumes. 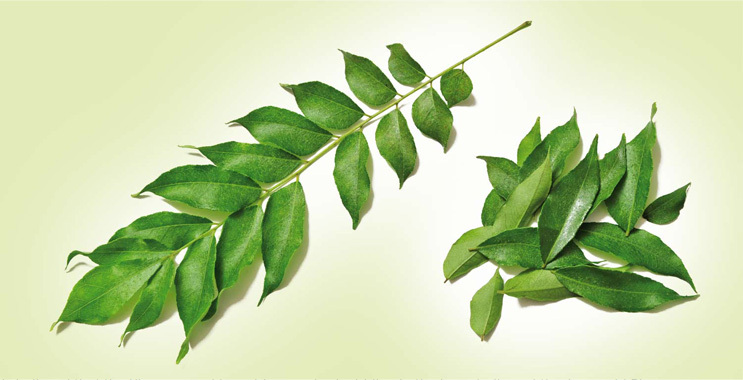 Curry leaves can be consumed for treating diarrhea, dysentery and piles. They are good for the functioning of the stomach and also prevent stomach upsets. Taking curry leaves as raw daily, helps to prevent diabetes. They are also used for preparing ayurvedic medicines.